The Sassy Pack Rat: Friday Finds: A Gift From Me To You! This Friday is a little different. Instead of me finding things to show you I'm giving you a gift I made just for you! I worked super hard for days to write and design this just for all my crafty people out there. 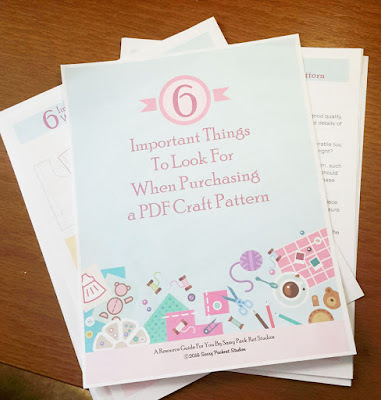 Then you'll want get my FREE Guide: 6 Important Things To Look For When Purchasing A PDF Craft Pattern. Do you have any idea what makes a really good pattern vs a poor or mediocre one? 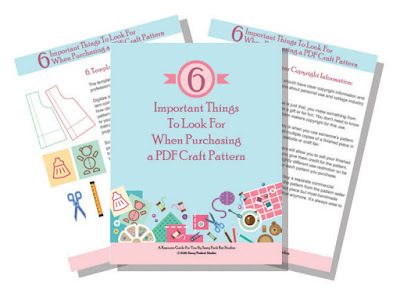 I breakdown the 6 most important things to look for when choosing a pattern. Finding the right good, quality pattern makes all the difference between your confidently creating a good final piece you'd be happy to give as a gift or feeling frustrated and miserable about time and money wasted. Come check out this guide and I hope you find it helpful!